We talk about the lure of thoughts during meditation, but what about when we are not meditating: Don’t we have to go back to thinking? If we didn’t, how could we live in the world? 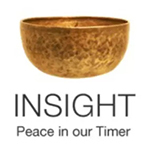 Vipassana or insight meditation is about staying present with what is in our current experience so that we develop the skill of being present in our daily lives as well. When we live our lives fully present, we discover how rich and satisfying it can be, so we are less likely to want to get lost in what we call ‘our story.’ Practicing this form of meditation where we simply ‘sit and know that we are sitting,’ as many Spirit Rock teachers say, we learn to differentiate between the thinking that is useful and necessary for living and the thinking that is keeping us from living fully. ‘Our story’ is all the thoughts we have about our lives, about the people in our lives, usually flavored with all our wants, fears and judgments. Since we were children this is the kind of thoughts we have had, just like everyone else in our culture. But these thoughts are neither nurturing nor fulfilling. We may get very emotionally stimulated as we have them, but ultimately they leave us feeling confused and somehow wounded. They do not bring about a joyful sense of ease. They only stir up our anxieties and our dissatisfaction with things as they are. Our story is very good at creating suffering. You may well wonder how we could possibly be freed from our story when it is so very much a part of the fabric of who we perceive ourselves to be. And anyway we like our story. Even if it does make us miserable, it’s our story, thank you very much. We don’t want it taken away….Okay, we allow that thought to be present as we explore a little further. We can hold both because we have spacious minds! Allow me to suggest that our attachment to ‘our story’ is as if we have been brought up exclusively on a diet of pre-packaged chemically-enhanced ultra-sweet sponge cake and we can’t figure out why we don’t feel well. We go about in a fog and we look for a way out, but it would never cross our minds to stop eating this food that is our cultural heritage, that is celebrated and venerated, that everyone we know eats as well. It would be outrageous to even consider. And yet, here we are in a fog, in misery at least part of the time. We never feel absolutely well, absolutely comfortable in our skins, absolutely at home in the world. We can’t even imagine what that would be like. Our story is junk food for the mind. Meditation offers a wholesome diet comparable to organic vegetables and whole grains. Peace, quiet, tranquility, authenticity, groundedness, spaciousness, and awareness: These are the wholesome foods for our minds. But not you! You sensed something was missing on your plate. You felt that the junk-thought life style was not satisfying you. Even though maybe you weren’t sure what it was you were hungering for, you braved giving meditation a try to see if it had some nourishment for you. You turned off the technological distractions and sat for a while in silence. Good choice! Of course, just like tasting broccoli for the first time, or switching from processed white bread to whole grain, it can take a while to develop a taste for it. Perhaps at first sitting practice feels weird. Perhaps we can’t concentrate. Perhaps we are uncomfortable. Perhaps we spend our whole sit convincing ourselves this is stupid. But if we stay with it, the benefits will start making themselves known. As we notice that we feel more relaxed, more spacious, more generous, less angry, less anxious, and generally happier, we develop a taste for this more wholesome diet of mind. Our story is still there but it is not our whole meal. And as we practice bringing our attention to the present moment and discover the riches available to us in that simple act of paying attention to what is, we find we are less and less dependent on our story. So, what is our story and why is it junk food? Our story is first and foremost the things we believe to be true about ourselves, others and the world around us. Before we begin to meditate, often our story is pretty solid. We don’t just believe, we know what is true, what is right. We know it all. But as we meditate, we begin to recognize that this hard fast knowing is something we have been clinging to, something that we felt made us safe. As we develop spaciousness of mind, we begin to feel a deeper sense of safety, not dependent on causes and conditions. We feel safe enough to begin to question some of our long held assumptions. We soften some of the hard knots of the tangle of story we have been caught up in for so long. The more spacious our minds become, the less tangled the story threads become. They don’t disappear, but we can see them for what they are. And we no longer cling to them. Eventually we recognize that the story is not a safety net but a heavy weight that has been keeping us from really living. When in our daily lives we get caught up in story, when we gossip about others, when we are blindly bent on satisfying some craving, eventually we come back to the present moment. And we recognize the unpleasant residual sensations of having been entangled with story. As we get more practiced, we can notice sooner when we are caught up in story, perhaps at the moment we are beginning to act out our urge to binge or gossip or rage about the injustice of it all. We can see it, we can really hear what we are saying to ourselves (or others), we can question whether it is really true, we can notice the emotional tone and where we feel it in our body, we can see where it might have come from, we can see the fear that prompted it, and we can compassionately bring our new-found awareness to bear on the situation. Now believing we can live a life free of story is, of course, just another story to get caught up in, one that makes us dissatisfied with the truth of our experience. So we develop a relationship with our story that is as compassionate as we can manage in this moment. We recognize story for what it is. We understand that we can still be attracted to the empty calorie promises it offers. We set our intention to be as skillful as we are able so that we are not forcing our story on others. Many aha moments arise out of this noticing when we are caught up in our story. Perhaps we can soften our judgment enough to smile at the way we are so easily drawn in yet again. And we can rejoice in awareness that offers us the freedom to let go of our story. Again and again. As I mentioned in the last post about the lure of thoughts, it is that moment of release from delusion, from being so caught up in our story, that is really pivotal. Suddenly we have freedom and choice. At this point it is good to remember to focus on one of the many sense anchors to the present moment we have available to us: rubbing the texture of cloth on our clothes, sensing our breath, really looking at the light and shadow, shapes, colors and textures of the world around us, hearing whatever ambient sound there is – whatever works, to bring us as fully as possible into the present moment. I am at this very moment feeling the smooth texture of the computer keys under my fingers. Why is this present moment freedom and our story is not? Our story is based on the belief that we are separate. Our story runs on the finite, depletable, polluting energy of fear. Check out for yourself if this is true. Notice your stories. Question what is driving them. Many of our stories begin with the words “If only…”: “If only I had more time,” “If only I wasn’t so….,” “If only he wasn’t so…,” “If only the world wasn’t so…,” “If only I were – fill in the blank: richer, thinner, smarter, more compassionate, etc.” This ‘if only’ is a stick to beat ourselves up. It is a violence we do to ourselves and others, and is based purely on fear. If we truly felt ourselves to be deeply connected to all that is, then the stories would fall away. What on earth would we wish for that we don’t already have in some part of our vastly extended self, the self not defined by I, me, mine? When we have this sense of joy for the fullness of life through our connection, we experience mudita, happiness for the happiness of others, because there is no ‘other’. All joy is all of our joy. Yes, we continually deal with our stories. But as we become aware of them, we come out of the fog of them, out of that tight tangle woven by the thought threads that make up these seemingly ironclad tales that we have held to be truth for so long. Then we can see them simply as story, and allow ourselves to be curious, to explore the nature of the tales we tell ourselves. We can question the validity of our stories in a way that we couldn’t when we believed we were our stories. It was too threatening to our existence to question them then. But as we begin to get an inkling of an understanding of the vast expansiveness of our being, we may be willing to let go of our dependence on our stories. And that is freedom. So then what are necessary thoughts? In our daily lives we have the thoughts that are necessary in that moment in order to take care of any responsibilities we may have. If we are on retreat and we have only the responsibility to get to the zafu when the bell rings, to set our intention to be mindful, to do our daily yogi job with full mindfulness, to eat mindfully, etc., then there are very few thoughts that are necessary. This gives us a great opportunity to see our story more clearly. Because we cannot pretend it is necessary in this moment to solve past, future or distant problems. In our daily lives obviously we have more responsibilities. We have the care of our bodies, our home, our relationships and our financial stability to think about. But how many of our thoughts directed to these responsibilities are useful? How many are like wholesome fresh vegetable thoughts that nourish and how many are an old smelly stew we keep churning and churning? If we are paying attention we can tell the difference. With relationships you may find that thinking about them is not nearly so useful as you might have believed. In fact, most relationships would be much improved with less thinking and more being fully present, really listening, really appreciating each other, and responding from a deep heartfelt sensing in to the truth for us in this moment. Not dragging in all that old story! This discerning between what is story and what is necessary thought arises out of the regular practice of meditation. It is not something you have to add to your to do list. It is just something you might notice in your own practice. If you don’t notice it, don’t worry. Just know that your practice itself is the door to freedom. This entry was posted in http://schemas.google.com/blogger/2008/kind#post, insight, meditation, thoughts, Vipassana on August 12, 2009 by Stephanie Noble.